Sun in scorpio, Vrischik Sankranti significance, rituals related to vrischik sankranti, What to do for success in vruschik sankranti. When planet Sun enter in Scorpio/vrischik zodiac in Gochar then it is called VRISCHIK SANKRANTI. 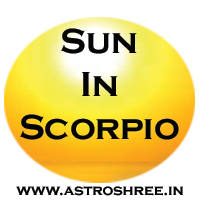 This is important day when sun from Libra enter in Scorpio. From this day people get relief from sufferings due to debilitated Sun impacts in Gochar. Surya pooja on this day and also offers things to needy. Some also perform rituals to please ancestors. is the symbol of happiness. People hope for positive market trend and happiness in life, growth in life. Sun in scorpio is positive and so bring happiness in life. It is also good for attracting name, fame in life. Those people who have sun of scorpio in horoscope definitely find good changes in life from the day of vrischik sankranti. Those people who want to please there ancestors also use this day to attract blessings of ancestors. 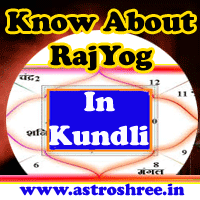 Those people who are suffering problems in life due to malefic sun in horoscope can also feel changes in life after this sankranti. Environment changes and fill with positivity from Vrischik sankranti. On this auspicious day it is good to perform Surya pooja. Offer water with red flowers to god sun by chanting any spell of sun. Offer sweets and meal to hungers. Don't forget to take the blessings of elders and brahmins on vrischik sankranti. Recite Aditya Hriday to attract blessings of god sun. Feed Red cows and get the blessings. Also do offer food to ancestors. In this way we can make our vrischik sankranti successful and open the ways to success.